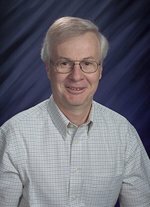 Congratulations to Pacific Northwest National Laboratory Fellow Dr. Allan Konopka for being named Fellow of the American Association for the Advancement of Science, the world's largest general scientific society and publisher of the journal Science. The AAAS gives the distinction of Fellow to members who have made efforts toward advancing science applications deemed scientifically or socially distinguished. Konopka is being honored for his "distinguished contributions to the field of microbial ecology, with particular emphasis on the roles of physiological adaptations to environmental perturbations and the relationship between microbial community structure and its function." He will be recognized at the Fellows Forum during the AAAS national meeting in Washington, D.C., in February. Konopka examines the ecology of microbes to understand how they adapt to changes in their habitats, including water and soil above or below the Earth's surface. For example, he investigated how cyanobacteria, also known as blue-green algae, produce sugar polymers to sink so they can access nutrients lower in the water column and then get rid of the polymers to rise and take advantage of the sunlight they need for photosynthesis. He currently studies how microbial communities in belowground soils affect the movement and chemical form of contaminants at the Hanford Site in southeast Washington state. Konopka is a PNNL Laboratory Fellow and leads the Microbiology Group in PNNL's Biological Sciences Division and the Lab's Microbial Communities Initiative. Before joining PNNL, he was a biological sciences professor at Purdue University for 30 years. He's on the editorial boards of the journals Applied and Environmental Microbiology, Microbial Ecology and The ISME Journal. The complete list of 2010 AAAS Fellows is available online. Also see the PNNL News Release for more information.